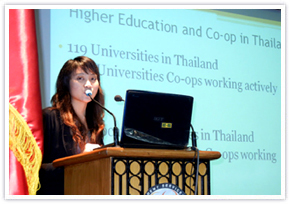 The first “2011 International Conference on Student Cooperativism in Asia” was held in the Philippines sponsored by the Philippines Student Services Cooperatives (PSSC) and the ICA Committee on University/Campus Co-operatives for Asia and the Pacific. The conference was prepared by faculty of student affairs in universities who are interested in co-op in which students are actively involved. The conference started on September 29, 2011. A session to deliver country reports from the Philippines and Asian countries was held on the first day, and the workshop was held on the second day. 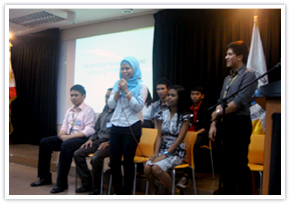 Around 20 students of the Philippines attended the conference despite the typhoons. "In workshops, some groups which is dominated by participants with faculty background discussed on first thing to do for incorporating co-ops. This means "Who manages stores actually?" and “We already have co-ops that are owned by faculty so there are some difficulties to incorporate co-op with student involvement. What should we do?" On the other hand, some groups where student is dominant discussed on the ideal of a co-op, such as "What co-op is an ideal co-op?" and "What business we can do?" In the Philippines, the positioning of university co-op is not yet clear. 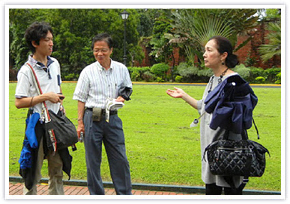 Reports and talks on Japan where roles of university co-op are clear were fresh to participants. I have reconfirmed the roles and significances Japanese university co-ops have in Japan through looking at and listening to co-ops in other countries." 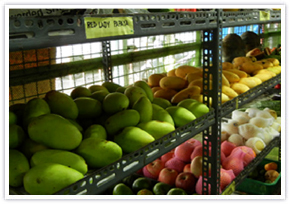 In the Philippines, some of the student affairs departments of universities are on the way to promote recognition of principles and functions of co-op so to incorporate co-ops. 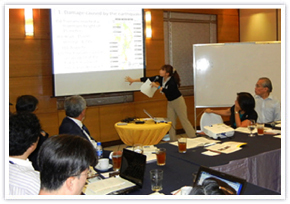 NFUCA continuously supports incorporation and development of university co-ops in the Philippines and Asia. The Annual Meeting of ICA Committee on University/Campus Co-operatives for Asia and the Pacific was held in parallel with the conference. Nine countries representatives attended the meeting and actively discussed on a concrete plan for the regional workshop in 2012 (venue: Malaysia) and promotions that each countries are planning for the International Year of Co-operatives. The meeting decided that the regional workshop was going to feature activities of high school co-ops. In the meeting, NFUCA reported its efforts in Tohoku earthquake and tsunami and reconstruction activities of university co-ops. NFUCA also expressed gratitude for the messages of encouragement and donation from many countries. NFUCA visited University of Philippines and University of Santo Tomas to have a meeting with university officials and university co-op officials and to tour facilities of the co-ops. (Annual Meeting of ICA Committee on University/Campus Co-operatives for Asia and the Pacific).